Drawing Green Tara with Ani Semchi course takes place on the weekend of the 5th-6th May. Learning to draw a deity is the best way to learn how to visualise them accurately. Places on this course are limited so, if you're interested, put this in your diary now and please book sooner rather than later! Please note there is a suggested course donation for this event. Limited edition! Look out for the stainless steel Samye Dzong London branded water bottles which will be appearing in our shop soon. Forget about one use plastic bottles which pollute the planet for hundreds of years after you've finished with them, these stainless steel bottles should last a fair old time. Take your pick from our extensive range of colours (OK, it's either yellow or very dark blue). 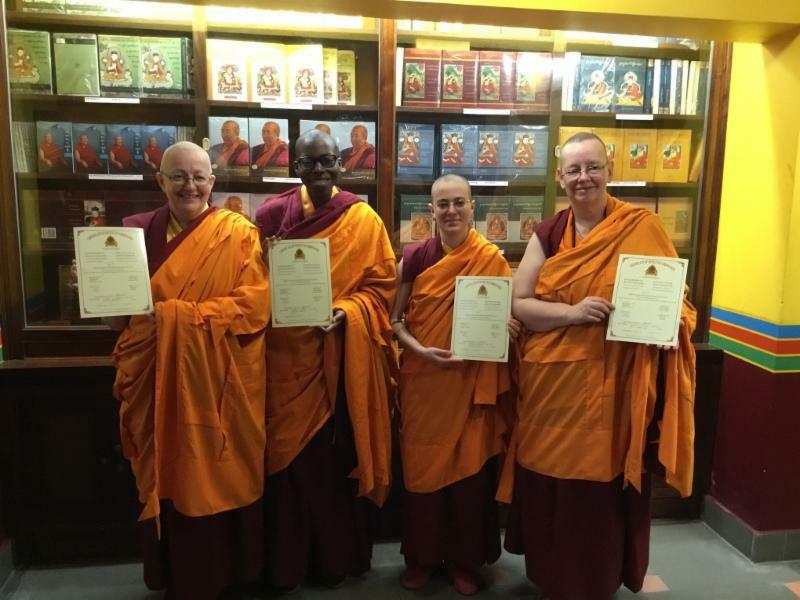 KSDL sangha news - two of our resident sangha are in India at the moment attending the Kagyu Monlam along with fellow sangha from Samye Ling and many other friends and supporters. You can find photos and messages about their journey on the Centre's Facebook page. However, in the meantime here's a picture of Samten Wangmo having just taken lifetime ordination with Thrangu Rinpoche. When we welcome her back to London it will be with her new name - Ani Lochu. 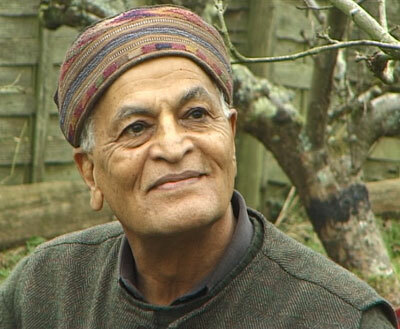 We are delighted to announce thatSatish Kumar, editor of Resurgence & Ecologist magazine, will be speaking at Samye Dzong for our celebration ofEarth Day on 22nd April. Inspired in his early 20s by the example of the British peace activist Bertrand Russell, Satish embarked on an 8,000-mile peace pilgrimage together with E.P. Menon. Carrying no money and depending on the kindness and hospitality of strangers, they walked from India to America, via Moscow, London and Paris, to deliver a humble packet of 'peace tea' to the then leaders of the world's four nuclear powers. In an interview in 2008, Satish said " "Is my approach unrealistic? Look at what realists have done for us. They have led us to war and climate change, poverty on an unimaginable scale, and wholesale ecological destruction. Half of humanity goes to bed hungry because of all the realistic leaders in the world. I tell people who call me 'unrealistic' to show me what their realism has done. Realism is an outdated, overplayed and wholly exaggerated concept." In 1973 Satish settled in the United Kingdom taking up the post of editor of Resurgence magazine, a position he has held ever since, making him the UK's longest-serving editor of the same magazine. 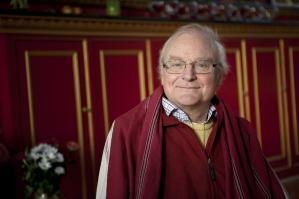 During this time, he has been the guiding spirit behind a number of now internationally-respected ecological and educational ventures including Schumacher College in South Devon where he is still a Visiting Fellow. More information will go up on the website as we get closer to the day. We hope to see as many of you as possible. Join Clive Holmes on the weekend of 24th-25th March for a workshop on Emotional Intelligence. Emotions play a far greater role in our health, well-being and success that we realise. We can be quite clever but still be immature and unhappy, a stranger to our own bodies and emotions. Through the five simple core principles of emotional intelligence we can begin to improve the quality and richness of our lives. The five core principles are: self-awareness, self-mastery, healthy motivation, empathy/compassion and social/relationship skills. This course is about balancing "head and heart" and enabling us to be more mature and less stressed in our lives. We will also be developing an emotionally healthy attitude to all our inner and outer experience. This course is suitable for beginners as well as those who already have a Meditation practice. Emotional Intelligence, with Clive Holmes, 24th-25th March. Book your place now by clicking on the donate button at the bottom of the course page on the website. Most of us are terrorised by time. There are the daily stresses of commuting and childcare, of multitasking and meeting deadlines. Then there are the thoughts we torture ourselves with: "Have I done enough?" and "My life is slipping away". And finally those existential terrors presented by the internal body clock, the relentless footsteps of ageing and death and the environmental time-bombs of climate change and the planet's life-cycle. These and other manifestations of "time stress" can often leaves us paralysed, anxious and dissociated. But by facing the phenomena of personal time face-on and developing a skillful way of transforming our relationship to it, life can be freed up in unimaginable ways. This weekend at Spa Road is looking at how meditation and the Buddhist teaching of the "Four Reminders" allows us to do just this: re-frame our relationships with time and turn the ticking clock into an inspiration rather than a terror. It's open to all levels - to beginners or people interested in approaching familiar dharma in a fresh light. 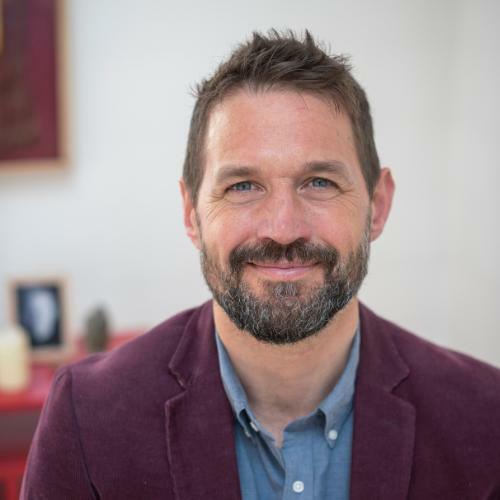 "Transforming Time Terror" with Alistair Appleton takes place on 3rd - 4th March, 10.00 - 5.00. 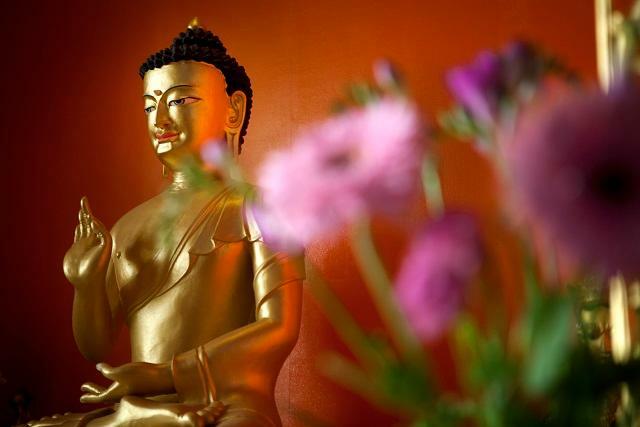 Please note that this course is not being run by Samye Dzong London an there is a charge for it - £95 full price and £65 concessions. You can book your place now via the Mind-Springs websiteÂ . There is a separate page listing all the meditation sessions each week.